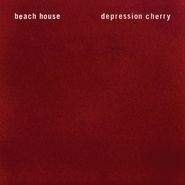 Stream the New Beach House Song "Sparks"
I keep listening to it over and over again to figure out what the hell is going on. That first blast of heavily saturated guitar and Victoria Legrand's layered vocals portend something special, which is just what we get with this gorgeous track. Legrand's organ and voice drone in perfect unison over a corroded digital beat, while Alex Scally's guitar's lay back and add small bits of texture, unleashing that volcanic noise again at select moments. Legrand's voice is more restrained than on previous singles, heavily breathy like My Bloody Valentine's Bilinda Butcher but with her same unmistakable husky tone, which comes through more clearly as the song progresses.The chorus is subtle but lovely, like Neil Young by way of Broadcast, but the best bits are the details—that skip in the beat right before the chorus, those high sliding guitar notes that sound like reverb-drenched shooting stars. It's somewhat long and amorphous but never outstays its welcome. You could listen for days and find new things to like about it. 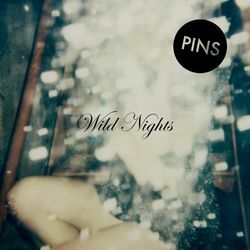 On this new track from PINS called “Molly,” the four Manchester ladies drum up a narcotic girl-group sway, perhaps a comedown from the title in question. Singer/guitarist Faith Vern sings of “wild nights with Molly” while Anna Donigan (bass), Lois Macdonald (guitar) Sophie Galpin (drums) & Kyoko Swann (synths/guitar) create a rockabilly-influenced backdrop. Listen via Stereogum. 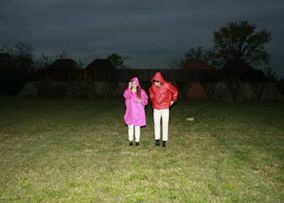 It’s the latest from the band’s upcoming sophomore album, Wild Nights, due June 9 on Bella Union. To kick off the album’s release, the band plays Amoeba SF on June 16 at 6 p.m. before hitting the Rickshaw Stop that night. The other tracks revealed from the album have shown a variety of moods and styles, include the stomping “Young Girls” and brooding “Too Little Too Late.” Check out those videos below. “Young Girls” is particularly haunting, with its Jawbreaker meets The Craft in the English suburbs vibe.